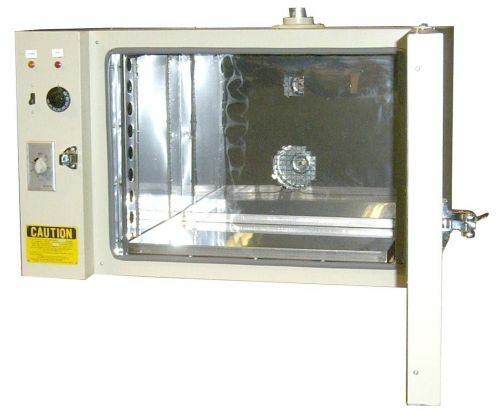 At Armature Coil Equipment, we offer bench type curing ovens as part of the curing oven category. These ovens are known for their installation versatility. They can be installed on a bench, a stand, or a large table. They are also portable ovens, and can be moved to different locations. During operation, the oven creates heated air, which circulates around the product. Through this process, the oven is able to perform the requisite preheating, drying, and curing processes. 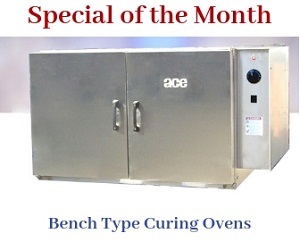 The ACE bench type curing oven can be used to perform a variety of processes. They are ideal for applications that require heated air circulation. These include component baking and drying, processing of large parts, and even part dehydration. They can also be used to heat items such as motor bearings. 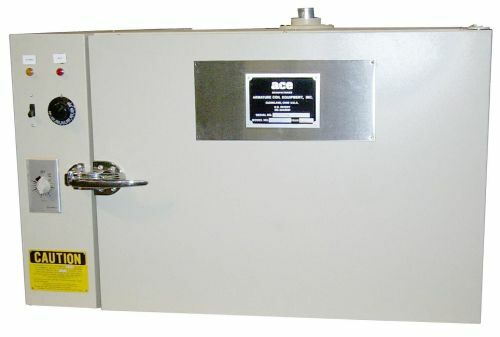 The primary standard feature on all ACE curing oven models is the temperature control system. This system comprises an on/off switch, a red pilot light, and a primary temperature controller. The pilot light indicates that the heater is under operation. The controller is calibrated to regulate the oven’s temperature. We also provide a separate manual reset controller, in case the automatic controller gets damaged. All of the ovens are completely factory tested, and stamped with a one year limited warranty before being delivered to the client. We provide two types of bench type oven models – NB350, and NB550. 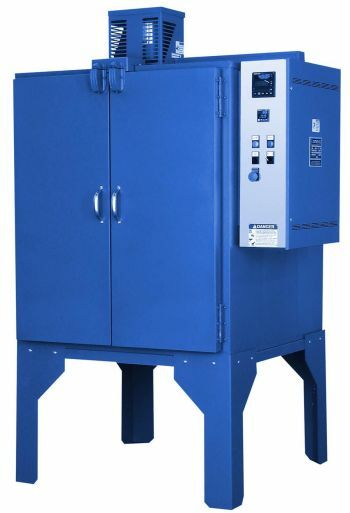 NB350: This model is ideal for preheating plastics, drying small sized components, curing potted compounds, and drying metal powders. It comprises a workspace of 7 cu.ft. Its maximum operating temperature is 350°F. The model also comprises two removable and adjustable nickel plated shelves. The oven can hold a maximum of seven shelves. NB550: This model is an upgraded version of the NB350. It is ideally suited for annealing plated parts and springs. It can also be used for any high temperature process. This model has a workspace of 5 cu.ft., and can reach temperatures up to 550°F. As with NB350, this model also consists of two shelves, and can be increased to seven shelves. Armature Coil Equipment’s bench type curing ovens are the ideal solutions for processing small and large parts. They are versatile in terms of design and operation, and can provide many years of service.